A key aim of the Remembrance Image Project is to encourage others to share their own pictures of WW1 sites, so that the work becomes not just my own images, but a dialogue in pictures between a variety of people visiting and reflecting on places associated with the conflict. It’s one of the points I always stress when I am speaking publicly about the project, and I did so again at a recent talk I have to the Bedford County Women’s Institute. And as if to reassure me that this approach does work, a few weeks later I was contacted by Valerie Mullins. In fact, Valerie was not at the Bedford WI meeting, but a friend and fellow photographer was and mentioned the project to Valerie. 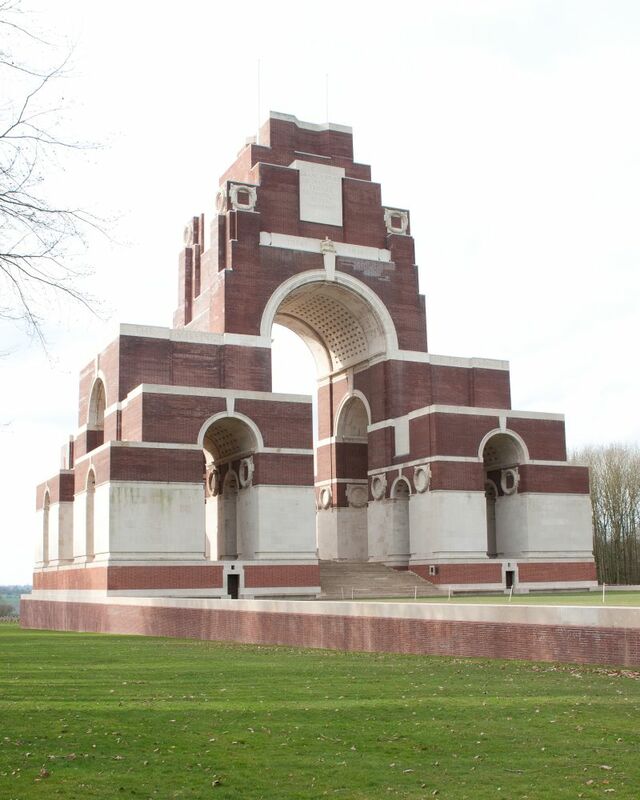 As it happens, Valerie had recently returned from a visit to the battlefields organised by Leger, and she kindly took the time to contact me and share some of her pictures. With her permission, I am reproducing some of them here. Valerie explained to me that she had always wanted to visit the battlefields, and found her trip both informative and thought-provoking. The fact that it coincided with the centenary meant that it held an additional layer of meaning. 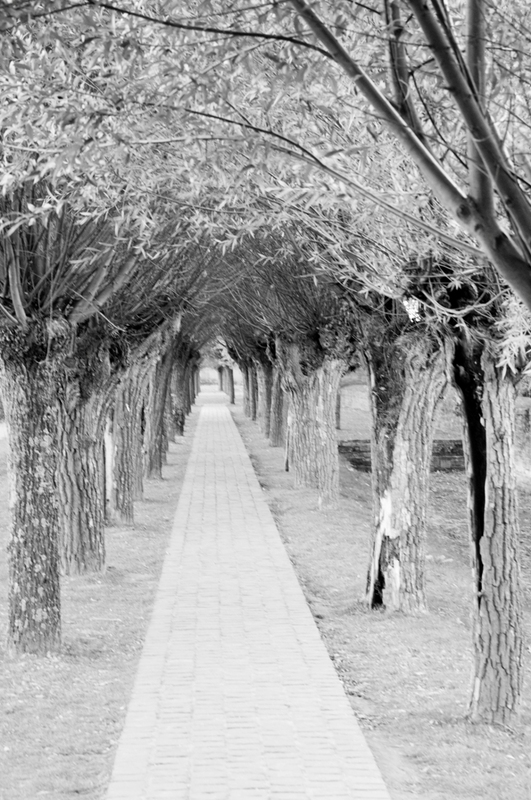 The pictures which she was most satisfied with were the ones of the German cemeteries; as she modestly told me, “I am not a great photographer, but the images of the German cemeteries I will remember for the rest of my life”. My thanks to Valerie for taking the time to contact me and share both her impressions of the battlefields, and some of her photographs. The opening months of 2014 have been a busy period for project work. The programme of talks and interactive workshops is taking shape for the year; even before the month of January was out, I’d given a talk at a Hertfordshire camera club, and taken part in an interactive workshop with 200 or so Year 9 school students. These were the first in a series of similar events planned throughout this year, and indeed over the next several years – so if you are interested in a talk or workshop for a group you are connected with, please don’t hesitate to get in touch. I have just completed the first public exhibition of project images this year, at Clapham Library in south London. Two further exhibitions are planned, at the Guildhall Library in the City of London between August and November; and at St Clement Danes (the RAF church) in the Strand from 4-16 November. I shall also be giving a public talk about the project at the Guildhall Library at 2pm on Wednesday 6th August. More generally, I am continuing to visit sites both in the UK and abroad to build up a portfolio of images. I was on the Somme last weekend, with some fairly dramatic weather as a backdrop; closer to home I have also been discovering and photographing some of the London war memorials. And later in the year I have trips planned to Ypres, Mons and the southern sections of the Western Front. All of these images will start to figure in the daily Twitter and Facebook posts. Please do keep in touch; and as ever, if you have any of your own images to share, please feel free to tweet, facebook or email! As part of the programme of talks, workshops and seminars about the Remembrance Image Project, I am delighted to announce a public talk to be held in London on 20 November 2013. The event is kindly hosted by the Friends of South Lambeth Library, and will take place at the library at 7pm on 20 November, with doors opening at 6.30pm. The library is at 108 South Lambeth Road, London, SW8 1QP. Admission is free. More information is available on the Friends’ website. During the evening I will share some of the photographs I have created during the research phase of the project, and the stories behind them. There will be an opportunity for questions, debate and discussion; and of course for people to explore how they might get involved in the project themselves! Meantime, I am continuing to put together a programme of talks to all kinds of school and community groups in 2014 and beyond, so please do contact me if you know of a group that might be interested in their own presentation. In my last update, I mentioned that another field trip to the Western Front was in the planning stage, and this trip took place at the end of June. This time, I explored and photographed parts of the southern section of the front, from Reims down to the Swiss border. with its own story to tell amongst the fractured concrete and the dripping dankness of a maze of underground passages. 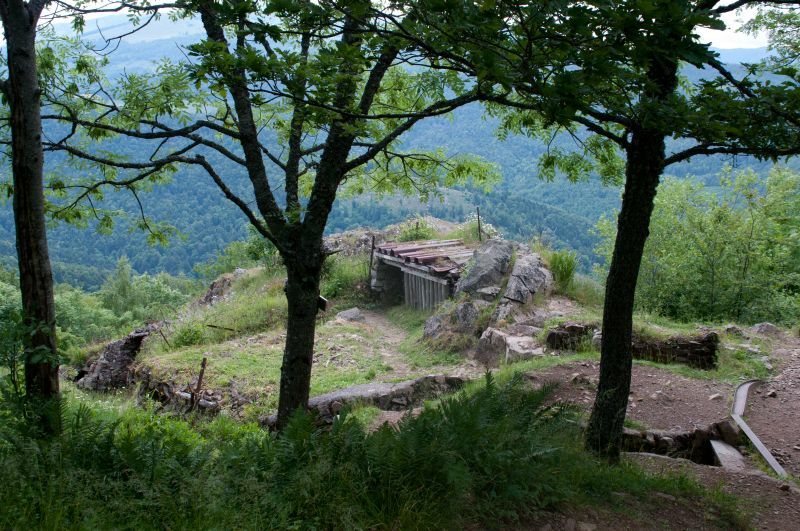 Further south, I explored the hilltop trenches of Le Ligne and Hartmannswillerkopf, carved from the living rock, with trenchlines falling away along what seem like almost vertical drops. And finally, I reached the Swiss border itself, where the long snaking line of the 400 or more miles of the Western Front finally petered out. It was, as ever, an education to see the different landscapes across which this monumental conflict was fought. I am gradually publishing the images from the trip on Twitter and on Facebook, and I hope that I have captured both the variety of landscapes and locations, and also some of the emotional charge which these locations still hold today. As ever, comments and contributions in response to the images are not only welcomed, but encouraged. In the meantime, I have a growing programme of talks and presentations to community and other groups over the next few months, and am really keen to extend this – so if you know anyone that might be interested in hearing a presentation, or hosting a workshop or seminar on the project, then please contact me. I am also pleased to confirm that I now have five public exhibitions of images planned in between 2014 and 2018, which will provide the opportunity to show some of the photographs in print and at larger scale than is possible online. More details will follow nearer the time. First of all, a big thank you to everyone who has continued to encourage and engage with the project, and a very warm welcome to those that have just started to follow us either here on our website, on Twitter or on Facebook. Over the past few months, a focal point for activity has been a second photographic research trip to France and Belgium. Starting at Veurne, the route took in Ypres, Mons, Loos and Neuve-Chapelle, as well as several other stopping points along the way. As someone who is a photographer, I am on a steep learning curve with the history of this period, and it is really on these visits that I start to understand more of the detail of what happened. 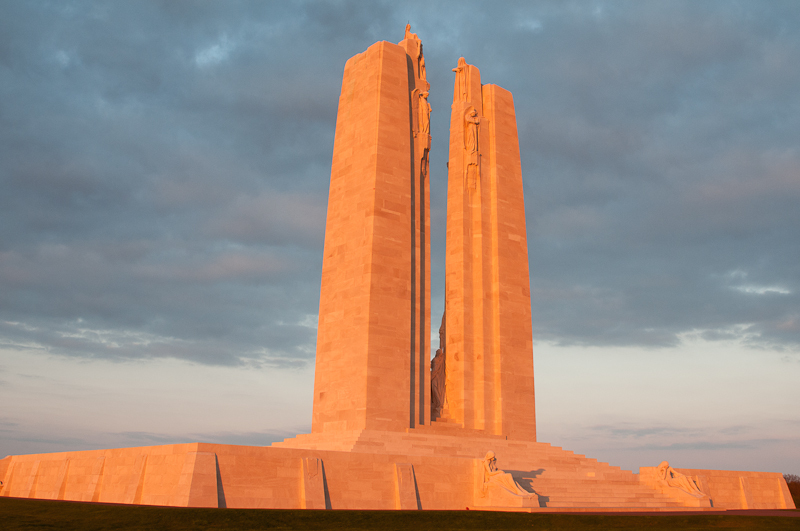 Many of the sites were of course very moving places to visit, and there was a particularly memorable evening reflecting and taking photos as the sun set over the Canadian memorial at Vimy. Photos from that evening and from the rest of the trip are being published more or less daily on the project’s Facebook and Twitter feeds. One of the key aims of the project is of course to share the images with as wide an audience as possible. This is both to further debate and understanding about the war and about the role of remembrance; and also of course to encourage people to take and share their own remembrance images. I am starting to put together a programme of presentations and discussion sessions with various community and school groups, so if you know anyone who might be interested in such a presentation, please do put them in touch with me. Meantime, work continues on planning the third photography research trip in June, which will focus on the southernmost section of the western front, from Reims across to Verdun and then down to the Swiss border. As ever, images will follow in due course, so watch this space! Once again, thanks to everyone for their support, and please do keep in touch!